CALM Worldwide provides Coaching solutions to their clients. 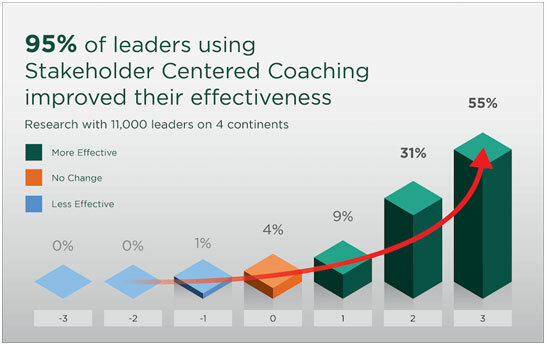 Coaching is a useful way of developing people's skills and abilities, and of boosting performance. It can also help deal with issues and challenges before they become major problems. Professional coaching brings many benefits: fresh perspectives on personal challenges, enhanced decision-making skills, greater interpersonal effectiveness, and increased confidence. Those who undertake coaching also improve in their productivity, satisfaction with life and work, and the attainment of relevant goals. Marshall Goldsmith Stakeholder Centered Coaching (MGSCC) – Guaranteeing Measurable Results in Leadership Development on a Global Scale. What would the impact on your career be if you worked with a proven process endorsed by top Fortune 500 leaders? Our mission is to measurably increase leadership effectiveness on a global scale. More than 11,000 leaders worldwide have measurably improved using Marshall Goldsmith’s process. We coach using the MGSCC approach along with GLOF (please see below for details on GLOF). The Global Leader of the Future (GLOF) 360 Assessment is specifically designed for leaders in a globalizing business environment and is based on in-depth research involving CEOs of Fortune 100 companies, 18 global thought leaders and 300 international business executives at 200 organizations of 120 multinationals on 6 continents. The GLOF measures the skills and competencies that today’s global leaders need to master and shows emerging leaders the areas they need to develop in order to succeed as effective leaders in a globalizing and competitive business environment.